Who is this Todd Wilbur Guy? In 1987, Debbi Fields called it "the recipe problem." For me, it was the beginning of this. The founder of Mrs. Fields Cookies was referring to an anonymous chain letter that revealed her famous chocolate chip cookie recipe. Or so it claimed. The letter told a story of a woman who bought the recipe from one of the cookie stores for $2.50, but later discovered on her credit card statement that she had been charged $250. She asked for a refund, but was denied. She then decided to "get even" by making copies of the recipe and mailing it to all of her friends, and instructed them to do the same. But there never was a vengeful woman as described in the story. And there was no $250 charge. And that definitely was not Mrs. Fields' secret recipe in the letter. Instead, it was a bad recipe for chocolate chip cookies which yielded way too many cookies, and, oddly, called for more oatmeal than flour in the dough. So—unless you wanted 112 dry chocolate chip oatmeal pucks that tasted nothing like Mrs. Fields Cookies—the recipe was a complete fail. The chain letter was a hoax, yet it multiplied and spread across the country like a virus. I received a copy of the infamous chain letter back then, but I tucked the recipe away. Until one day when I happened to be at a Mrs. Fields cookie store in the mall and noticed a new sign by the register. The sign was a message from Debbi Fields denouncing the cookie recipe in the chain letter and claiming that she had never sold her recipe to anyone. Apparently the company had been receiving numerous calls and letters about the recipe from people complaining that the woman in the letter was mistreated, and that Mrs. Fields cookies don’t taste very good. The chain letter was causing the company a lot of distress, as Debbi Fields later explained in her memoir, “One Smart Cookie.” This recipe—the same recipe I received—had gone hardcopy viral, becoming a rapidly trending urban phenomenon that affected a national corporation. The fact that this "secret recipe" had proliferated, so un-deliciously, was fascinating to me. If all those people enjoy using and sharing a bad clone recipe for a famous cookie, I figured there's a decent chance they'd like a good clone recipe for a famous cookie even more. So, I started baking cookies. Over the next few weeks—with a bag of real Mrs. Fields Chocolate Chip Cookies on hand for comparison—I made batches and batches of chocolate chip cookies until I had what I thought was a good copy. I was new at this game, so my cookie wasn't perfect, but it was certainly a far better clone than the chain letter version. My experiment was a success, and I enjoyed the process, so I began reverse-engineering more famous foods. McDonald's Big Mac was next. Then Wendy's Chili and Twinkies. For the next 5 years I hacked big brands in my spare time, until my collection of culinary copycats was complete, and I was ready to pitch it to publishers. If I sold the book, it would be the first traditional publication of a copycat recipes cookbook, and perhaps the beginning of a new genre in cooking. The first version of this website went live on the emerging internet in 1996 and became one of the top 10 cooking websites at the time. TopSecretRecipes.com has had several facelifts through the years as the wrinkles started to show, but with this latest overhaul the site is now easier to navigate on all devices. Finally, the food is showcased the way it should be, in much yummier big color photos. I love secret copycat recipes, just as you do, because these formulas allow us to make something in our kitchen that we shouldn't be able to make—like maps to buried treasure we aren't supposed to find. It's underground cooking. It’s taboo cuisine. Large food companies take steps to protect their original secret recipes. 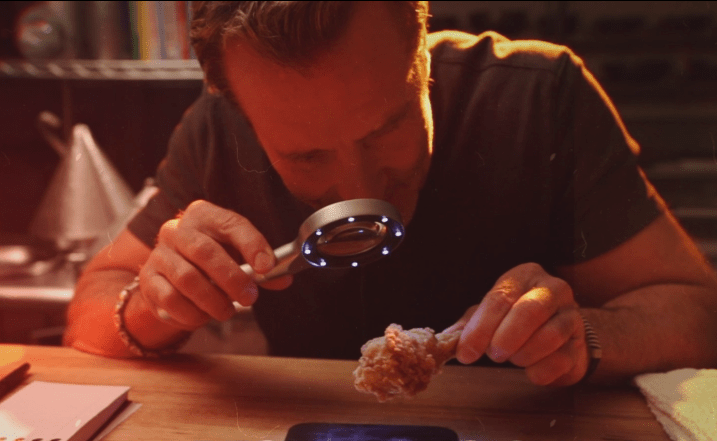 But there’s nothing to stop a skilled food hacker from looking for clues within the food itself, and then working backwards to create a copycat scratch recipe that tastes just like the original. So, the next time you’re out eating a delicious famous food and wonder, "What's that flavor?" or "How do they make it taste like that?" start digging here first. Hopefully you’ll unearth all of the delicious Top Secret Recipes you've been searching for.